Imperial County Board of Supervisors votes 5-0 to reject prison-based gerrymandering and draw five genuinely equal districts. The Board of Supervisors in Imperial County, California, is ensuring that all votes cast in its supervisor districts will carry equal political clout when the redistricting process is over. Back in May, the Board voted 5-0 to exclude the approximately 8,400 people incarcerated in Calipatria and Centinela State Prisons for redistricting purposes. Robert Moreno chaired the [Redistricting Advisory Committee]. He had presented the Supervisors with 3 possible maps. 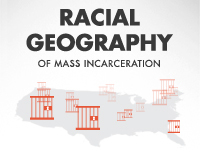 One included the prison population in the County. 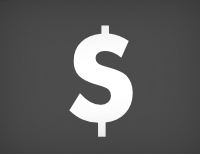 The Supervisors followed the lead of most other counties in the state, and rejected that map. They said the residents at the two state prisons were not voting members of the public, and most were not permanent residents of the county. The Board is still deciding between preliminary districting plans, but they’ll make their final decisions with the assurance that each option is safe from of the nefarious practice of prison-based gerrymandering. 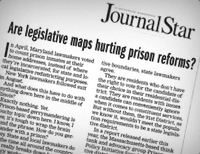 A rural newspaper reports that prison-based gerrymandering is not on the table for discussion. Will the public allow that to stand? HB 13, which would allow more counties to reject prison-based gerrymandering, passed unanimously in the Virginia House and now advances to the Senate.